A perfect blend of contemporary design, legendary capability and performance, the 2019 Tahoe offers a premium driving experience, no matter where you go or what you do. In 1935 we turned the motoring industry on its head by breaking all the rules and pioneering the family SUV: the Chevrolet Suburban. 80 Years on, we’re still leading the charge and taking you down new roads you never imagined you’d find. The awe-inspiring front grille and LED headlamp combination is a sight to behold. This aggressive front fascia is a fitting place for the Chevrolet badge to stand proud, giving off the sense of power and performance that the Tahoe has plenty of. The rear tailamps and trunk panel round off the impeccably styled exterior of the Tahoe. Even the rear wiper-blade makes the Tahoe look good, by being hidden elegantly away beneath the rear roof spoiler. No matter how you look at the Tahoe, it always looks good. The result? The quietest Tahoe ever, offering a drive that’s hushed and peaceful and an environment that feels like a sanctuary from the outside world. Inside Tahoe, the 8-inch diagonal color touch-screen slides up to reveal a lockable space to help secure your valuables. Comfortably seating 9, it is very generous with space with its available power-release second-row and power fold-flat third-row seats – the fastest of any competitor – Tahoe offers up to 2,682L of cargo space. *Country specific features and specifications may vary. Inside Tahoe, the center console is large enough to fit a laptop computer. The Tahoe interior features premium hand-stitched materials that contribute to the functional design, offering the perfect combination of comfort and versatility. Bring your technology with you and stay fully charged with 13 charging locations, including up to 6 USB ports, a 230V three-prong outlet, and an available wireless charging station. With its plush, spacious interior, the rear of the Tahoe is already a great place to be on long journeys. Add to this a flip down screen with Blu-Ray capability and you’ll never want to leave. Available keyless entry allows you to simply press the button on the door handle to unlock the door. And then as long as the key fob is in the vehicle, you can start the engine with the push of a button. At first glance, the Tahoe may appear to be a luxurious SUV designed to keep its passengers in complete comfort as it cruises along the open roads. But beneath that stylish design and refined interior lies the heart of a true off-roader. Tahoe’s formidable 5.3L V8 engine delivers ample amounts of power to the available 4-Wheel Drive system, making short work of almost any obstacle, whilst the Magnetic Ride Control works to keep your adventure on track.Add to this a host of available off-road enhancements and technology and you’ve got a 4X4 that really is ready for anything. The available 4-Wheel Drive system allows the Tahoe to switch effortlessly between 2-wheel and 4-wheel drive with the switch of a button. Making your off-road adventure smooth and enjoyable. This innovative technology aids you in descending steep hills by helping you control the rate of decent. This prevents the vehicle from losing control or “digging in” to the sand. The impressive ground clearance of the Tahoe allows you to go places that few others can. Available off-road suspension packages can even increase this distance, making few places out of reach. Tahoe offers a host of available advanced safety features to help prevent potential collision. It also has the technology to help protect you and respond in the event of one. There is even a Theft Protection Package available to help keep your belongings secure whilst your vehicle is unattended.Safety features are no substitute for the driver’s responsibility to operate the vehicle in a safe manner. The driver should remain attentive to traffic, surroundings and road conditions at all times. Apart from protective measures such as a high-steel safety cage and 7 air bags, Tahoe features a standard front center air bag - with standard front bucket seats, designed to activate between the driver and front passenger to offer added protection in side-impact collisions. *7 air bags come as standard on LT and Premier trims. Tahoe comes equipped with class-exclusive safety features and driver assist technologies that offer drivers and their passengers 360 degrees of protection. 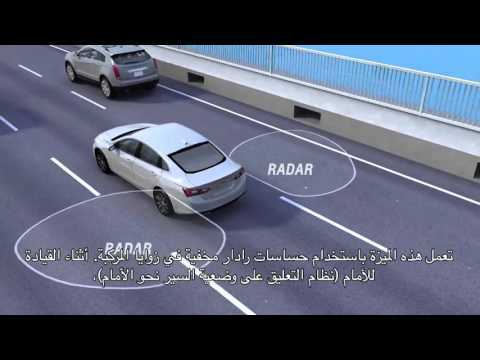 Sensors help warn you when a vehicle enters your blind spot on either side, thanks to the innovative side Blind Zone Alert. 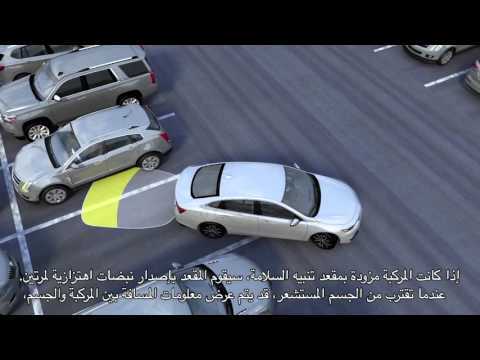 The Rear Parking Assist System activates when you put your vehicle in reverse. 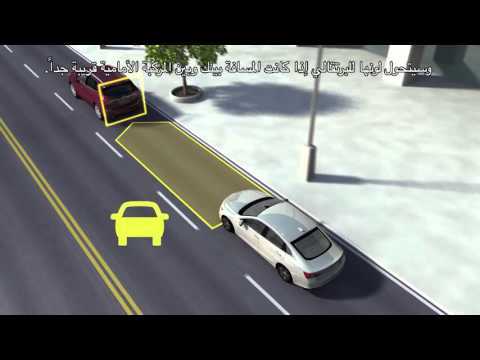 Sensors detect signs of any potential danger from behind during parking. 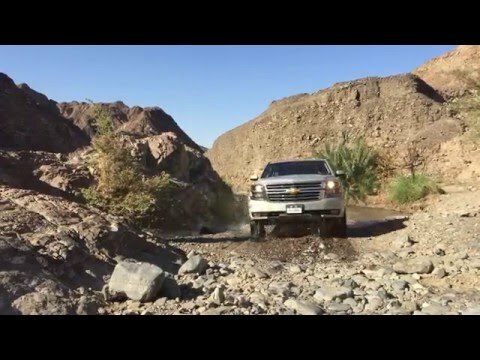 The front facia of the Z71 was designed with off-road capability in mind. The new look grille and bowtie combination sends a clear message of intent to anything the great outdoors can throw at you. A 24-degree approach angle has been added for managing even the steepest of slopes and the high-strength skid plate protects the bottom of your vehicle when you’re dominating the elements. The Z71 badge is synonymous with Chevrolet high performance vehicles and the Tahoe incarnation is no different. All around the exterior and throughout the cabin there are tastefully placed Z71 badges to let those around you know just how ready for adventure your Tahoe is. 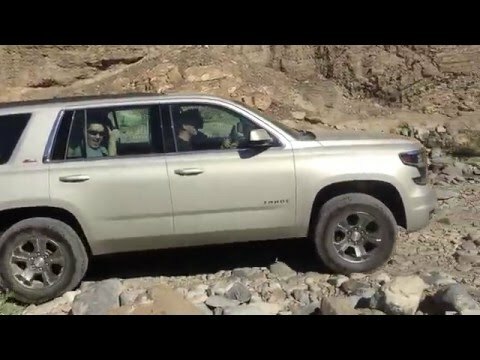 When you’re out conquering the terrain you need to know how to best position the Tahoe for optimal performance and traction. The Digital Center of Gravity meter inside the Z71’s driver information display shows you the current pitch and roll of the vehicle when going off-road. When you are driving off the beaten track, your wheel size really matters. Which is why the Z71 features available 18-inch 5-spoke Polished Aluminium wheels or 20-inch Polished Aluminium wheels to help get you smoothly and confidently over even the roughest of terrains.